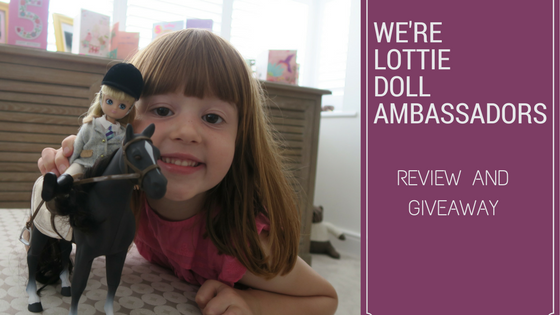 I’m really excited to announce that we’re Lottie Doll ambassadors and as you can imagine the girls are even more excited than me! What is an ambassador? It is when a blogger works closely with a brand and for me it has to be a brand that is a perfect fit for us. Lottie Dolls is that brand. It means I will be sharing hot of the press news from Lottie Dolls, reviewing their products and giving you the chance to win some exciting Lottie Doll products, by running giveaways. To empower children to be themselves, to be imaginative, adventurous and – most of all – to have fun. Lottie Dolls are based on the bodies of a nine year old, with the exception of the head to allow for children to play with their hair, which my girls love to do. They are dressed in comfortable clothes that are colourful. Their play sets encourage outdoor fun and you won’t find her wearing make up, jewellery or high heels. Their dolls look like kids. Both Alice and Holly are girls that love to play with their dolls, they will play on their own or together making up games and it keeps them happily entertained for hours. 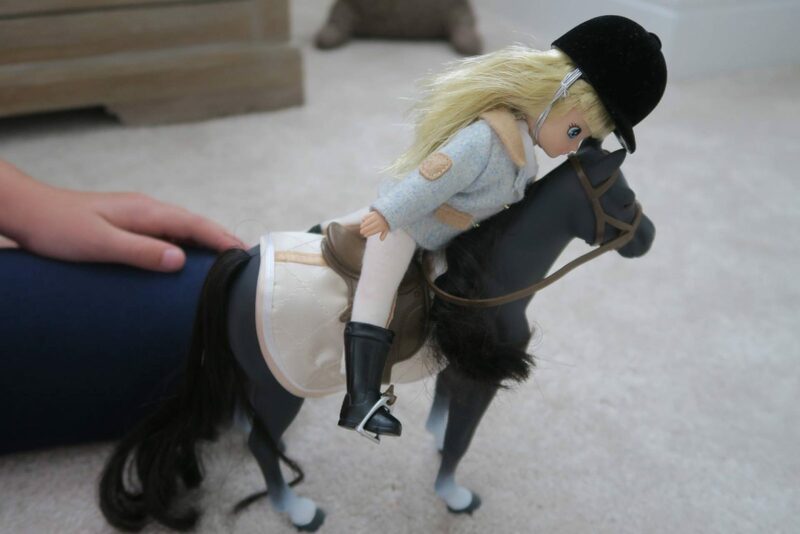 For Alice I choose the Pony Club Lottie Doll. She has recently been on a couple of pony rides and loves it. 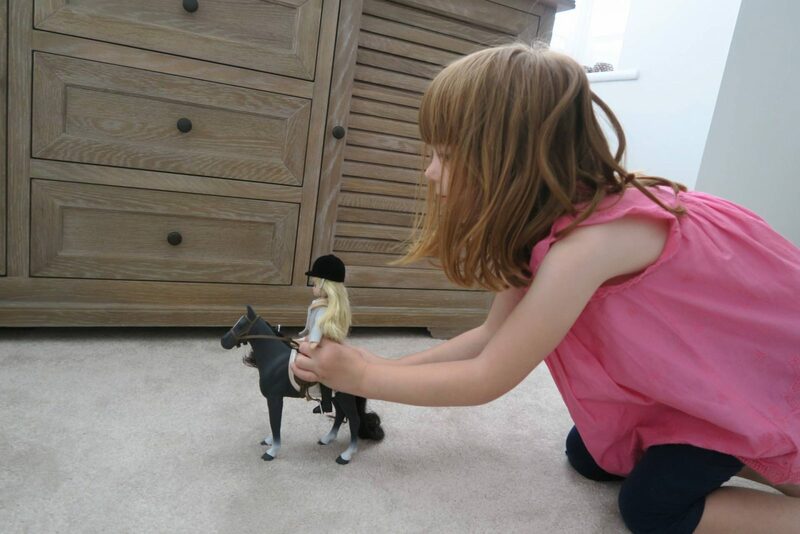 I knew she would love to have a doll and pony that she could play with her, just like she does in real life. Which is what Lottie Dolls is all about. For Holly I choose the Birthday Girl Sophia Doll. She loves a sparkly skirt and the fact it has a bag, is perfect. Holly loves bags and rarely leaves the house without one. It’s like a mini Holly! 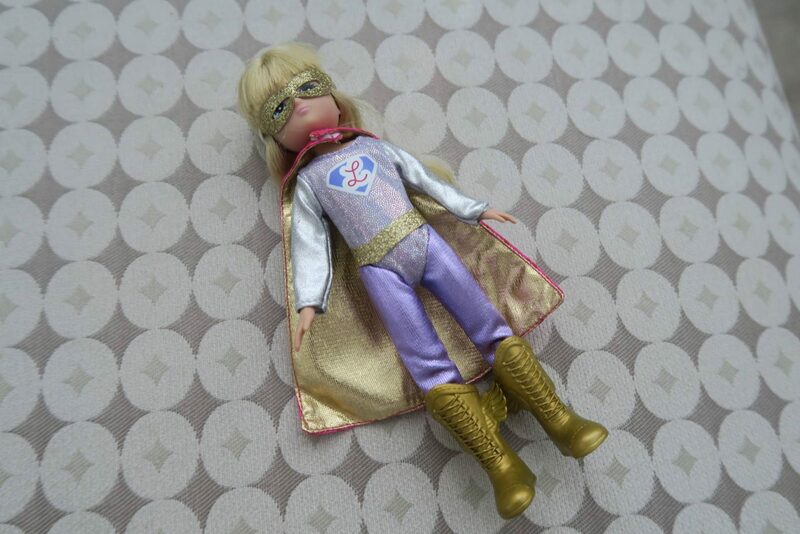 I also choose the Super Lottie outfit, as Alice loves super girl that can fly. She loved that she had a pink cape, just like the one Alice wears when she dresses up as batgirl. And I choose the Sweet Dreams outfit, as otherwise what would she wear to bed! 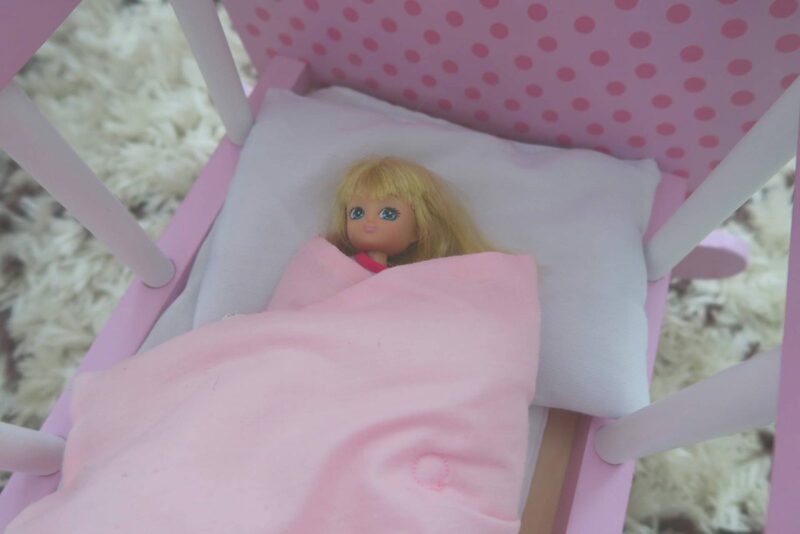 When they arrived Holly was napping and Alice opened the box and was really excited to see her new Lottie Doll. She started to play with it straight away. We must have changed her outfit a hundred times, as she just loved that she could also be a superhero flying through the air. All that flying tired her out and it was time for asleep in her bed. Holly then woke up and joined in with playing with the dolls. She loved them just as much as Alice. Thankfully my girls are pretty good at sharing their toys and really just see them as toys for everyone. Holly loved letting Birthday Girl Sophia have a ride on the pony with her helmet on, as she called it. We love being Lottie Doll ambassadors and can’t wait to share more with you about this fantastic brand. 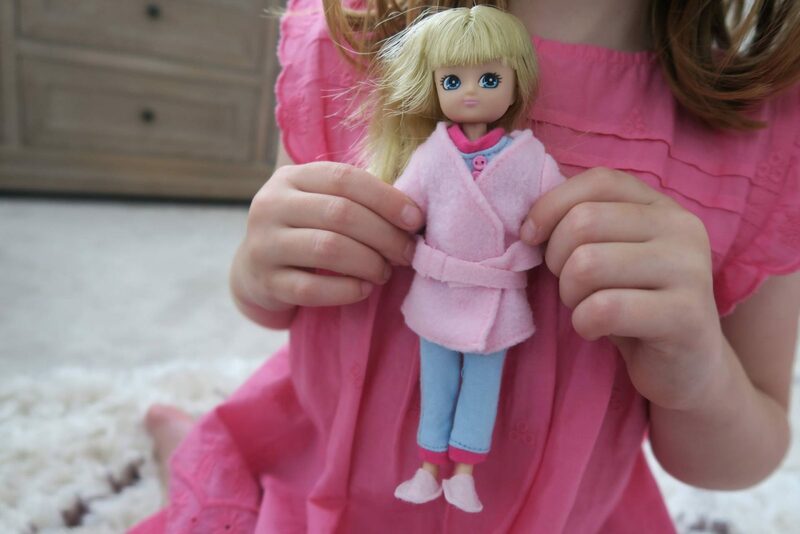 We made a little video to show you our Lottie Dolls and see them in action! Disclosure: We’re Lottie Doll Ambassadors and were kindly sent our dolls and accessories to include in this post. All views and opinions are my own. What lovely dolls. My only hope would be for a disabled doll to appear that didn’t cost the earth because being disabled myself I would love one to spread awareness. I’ll be looking at these for my niece or my friends children for Christmas!! Fab dolls, sadly my daughter’s into monster high these days but she would have loved these when she was younger. i love how the dolls come with different outfits so she can dress them up and down as she likes! That was my favorite part with my dolls growing up! 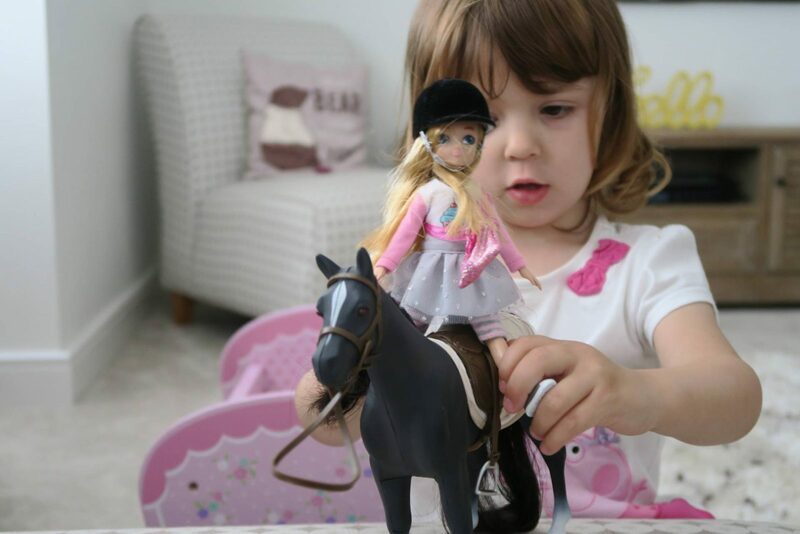 We love the whole concept behind Lottie doll and its good to see some positive doll roll models! 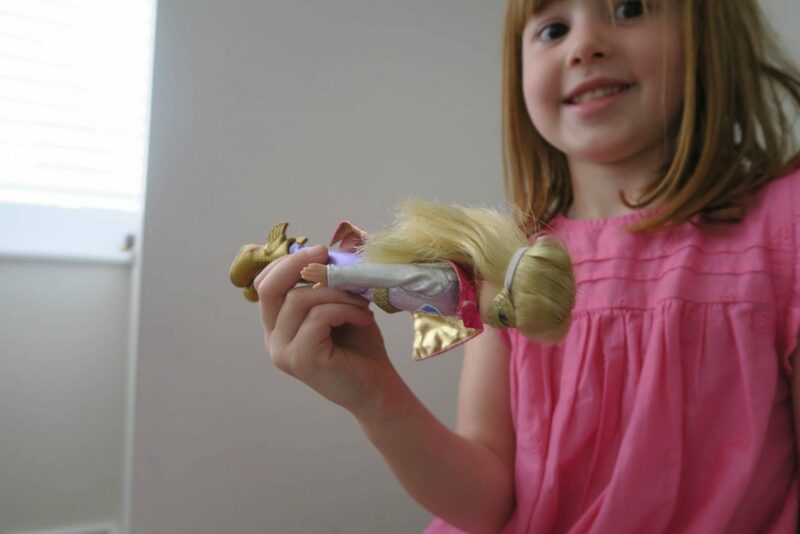 I don’t know any little girl who doesn’t love a doll of some sort. I love the look of these dolls, I know my niece would love these as well, she’s a doll fiend!! !